omg i’m so happy that you blogged again! i don’t have to delete you after all. OMG, that is beautiful esp in a wonderful pukey green color! And echoing the ” yay , you’re blogging again”! 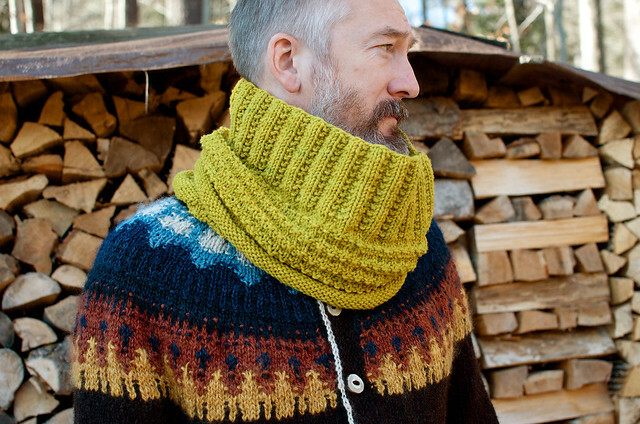 Great cowl pattern! I can see why you love it. 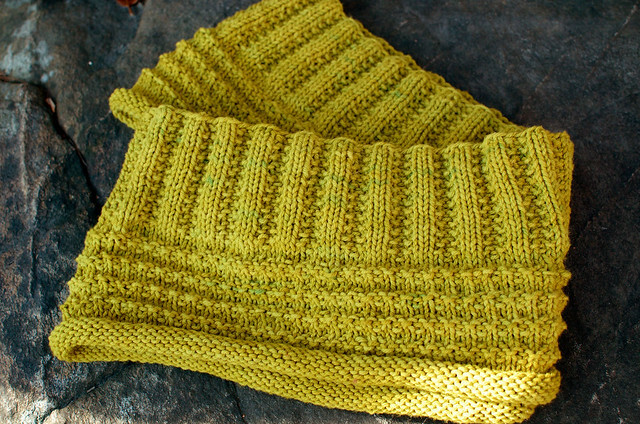 The cowl is beautiful.I love the colour! Another gorgeous thing is the cardigan your model is wearing…wow!! What is that pattern? Loved the instructions on Thrums. Had never heard of them but they are just the thing for my Canadian Winters! We had a – 50 Celsius with the wind chill last night. I went to a Specialty yarn store and found the mitts they had on display, and I fell in love with them. 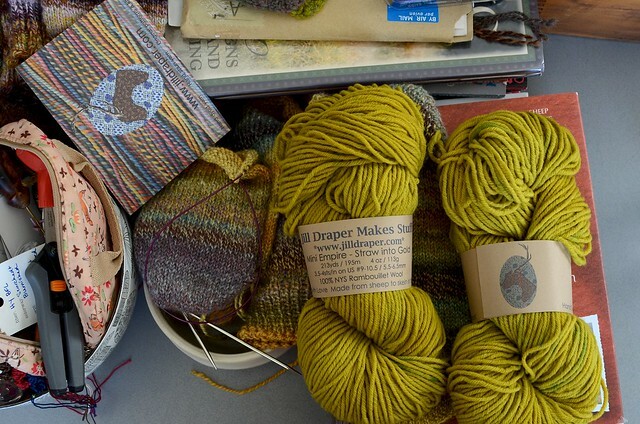 Knit with a wool outside and merino wool thrums they should do the trick even in this weather! Thanks for the instructions.